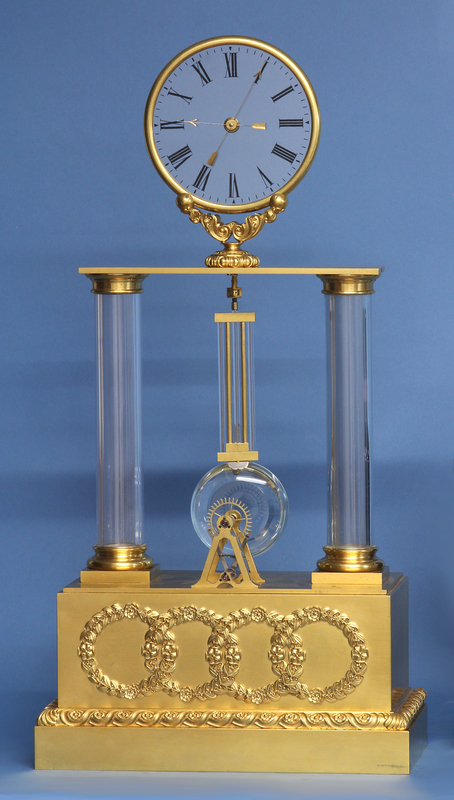 c.1839 Exhibition Mystery Portico Clock by Robert-Houdin. 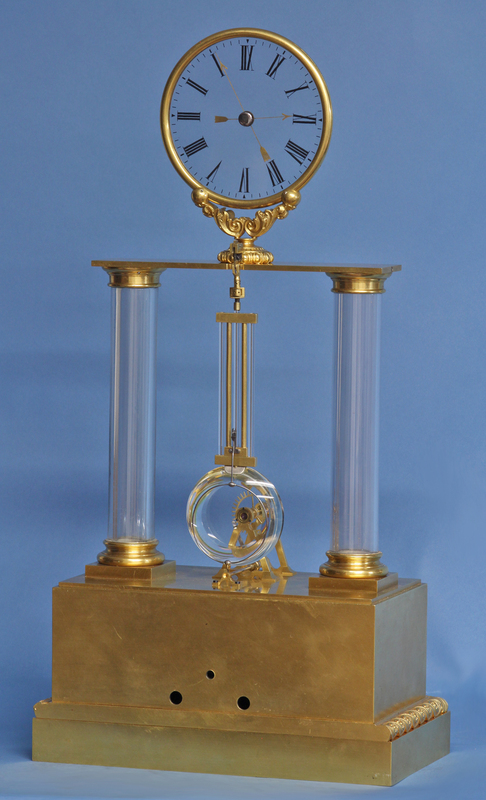 An exceptional exhibition mystery portico clock by the legendary horologist and magician Robert-Houdin made for the ‘Exposition des Produits de l’industrie Francaise’ in 1839 that incorporates never before seen horological mysteries that mystified both the public and, more importantly, his fellow horologists. 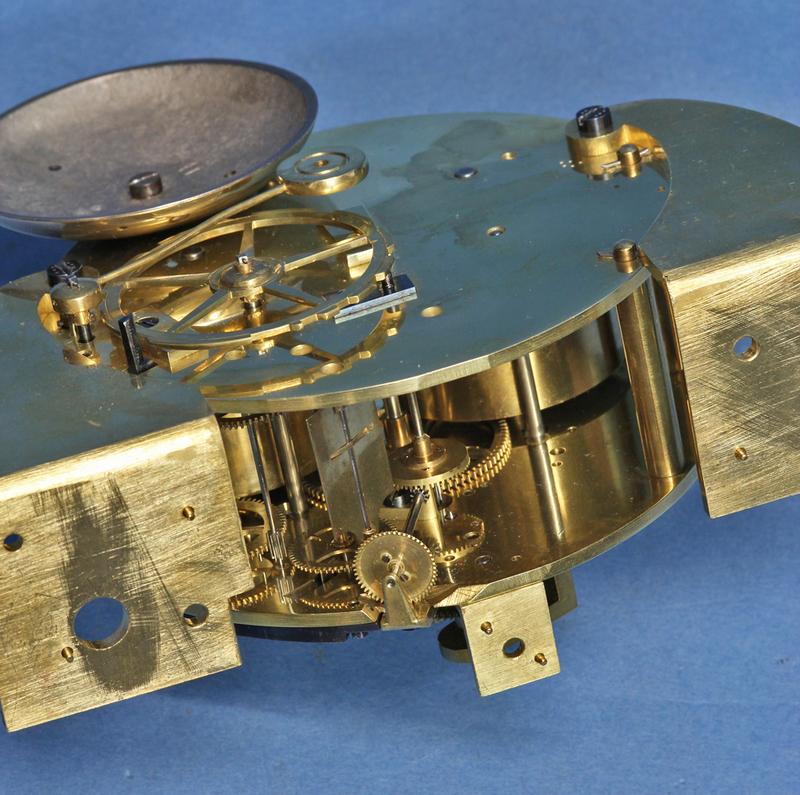 Before this piece was discovered the most complicated known Robert-Houdin clocks were the ‘Series 4’ or ‘triple mystery clocks’. 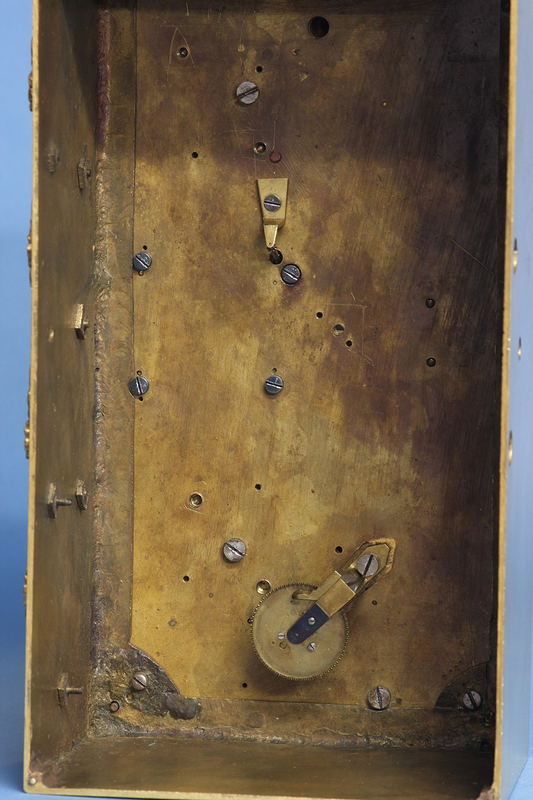 This exhibition piece not only incorporates the mysteries of the ‘Series 4’ but also includes several more making this the rarest and most complicated mystery clock every made by him. 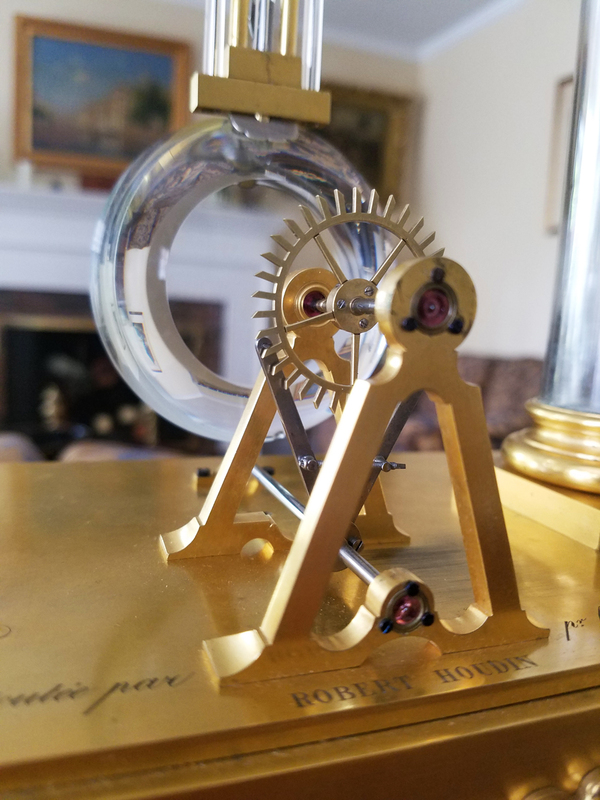 No other Robert-Houdin mystery clock has an inverted glass pendulum, concealed linkages between the escapewheel and the movement, two glass columns or the linkage between the rotating glass tube and the dial mechanism. 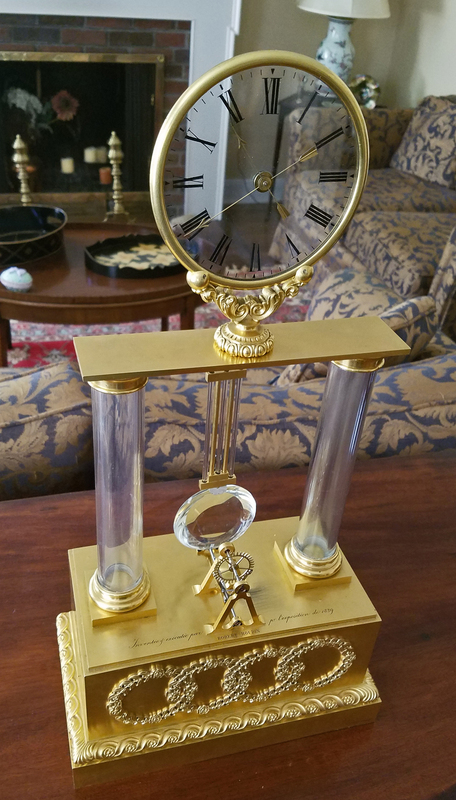 The well-cast and finished ormolu case has two glass columns that support the dial above and stand on a stepped base with interlocked garlands and a detailed molded edge. It is engraved ‘Inventée et exécutée pr. 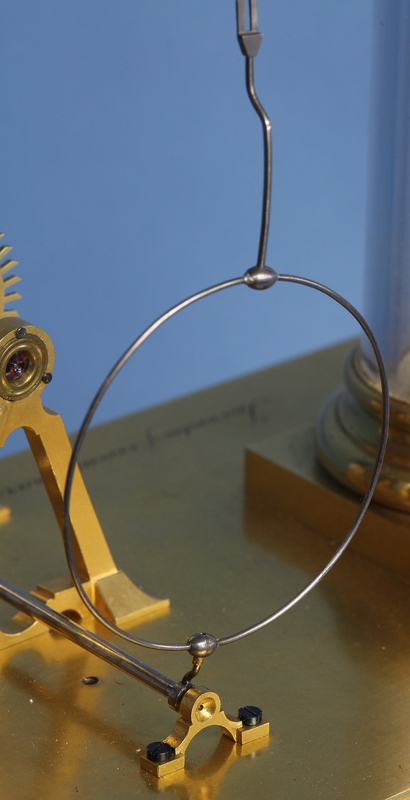 l’exposition de 1839 ROBERT HOUDIN’ around the escapement. 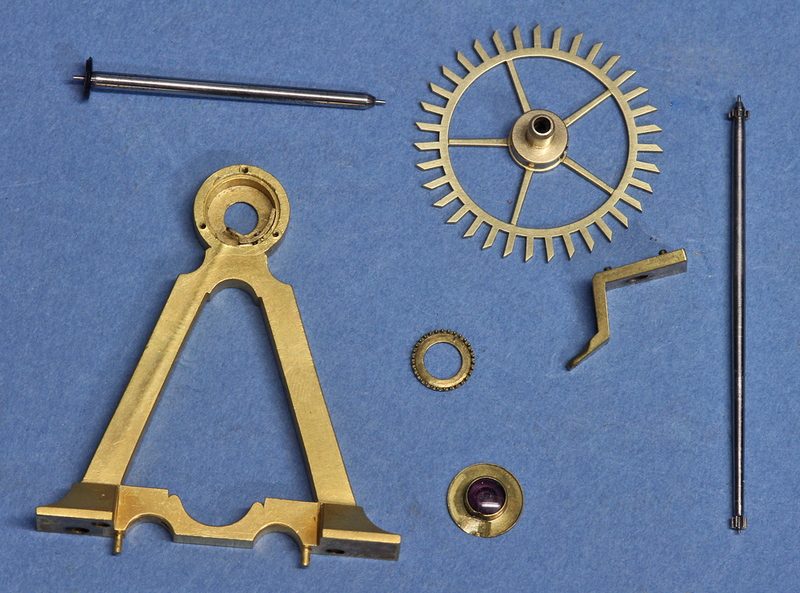 The mark ‘VI’ is found in two places – the base and bottom of the dial support. 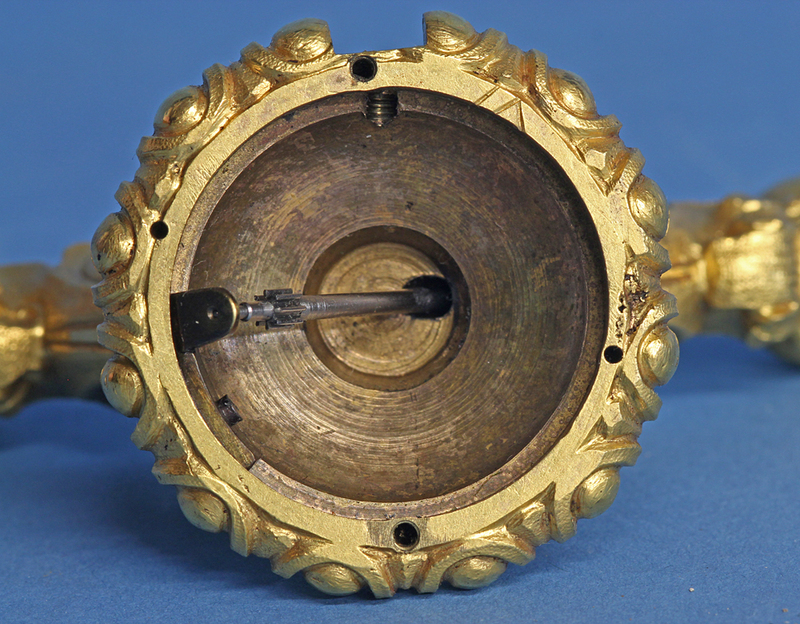 The dial is composed of two glass plates and has a split bezel secured by tiny screws, reverse painted Roman numerals for the hours, very light arrow shaped ormolu hands mounted to finely machined steel motion work and the whole is supported by a y-shaped cast ormolu support on a flat plate that spans the two columns. 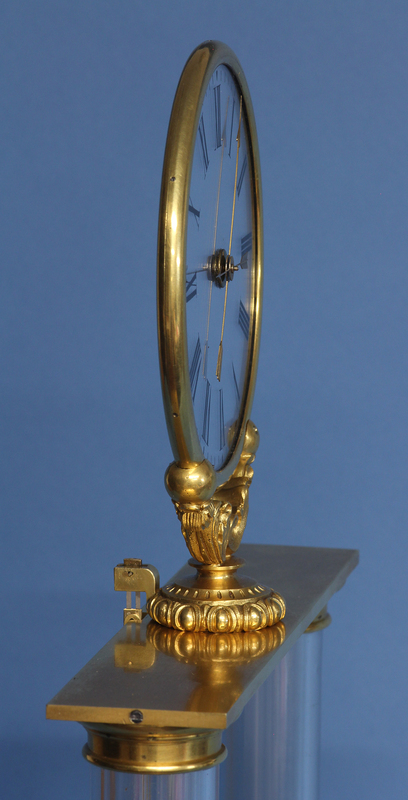 The hands are mounted with the minute hand on the inside and hour on the outside which is not normal for regular clocks, but typical for Robert-Houdin’s triple mystery clocks. 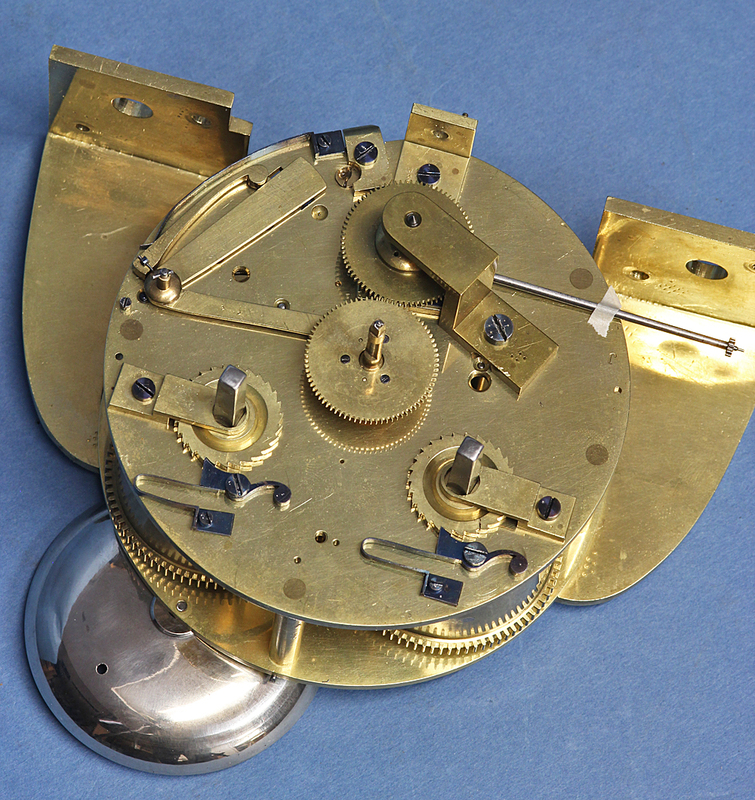 The time and strike movement is mounted in the base, wound and set out the back, has countwheel striking on a bell mounted to the back plate and is adapted to incorporate both the escapement and the glass tube. 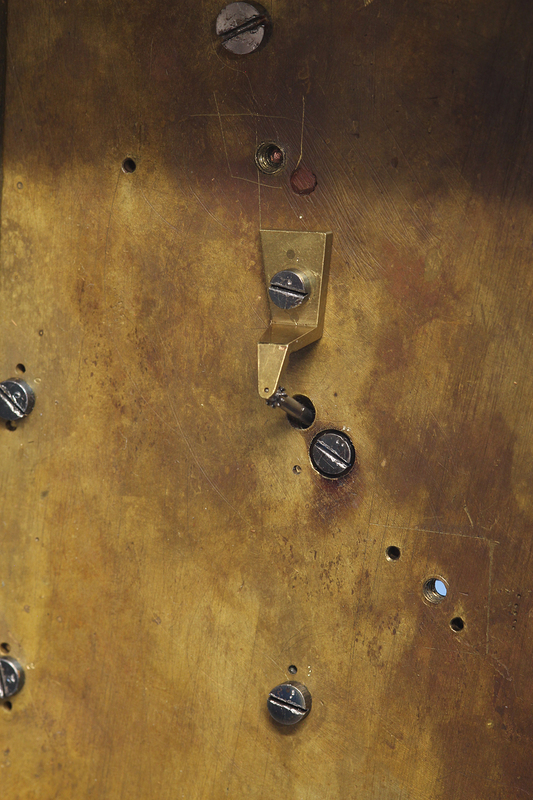 Most of the screws carry touch marks to help identify their position throughout the movement. 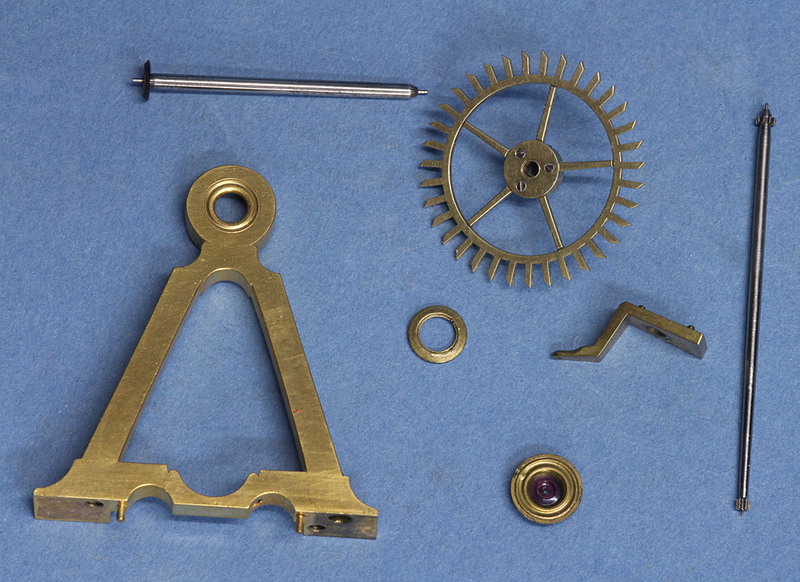 Both springs are original and the time spring is inscribed with numerous repairers’ names and dates including the original spring maker ‘Berel jeune avril 1839’. 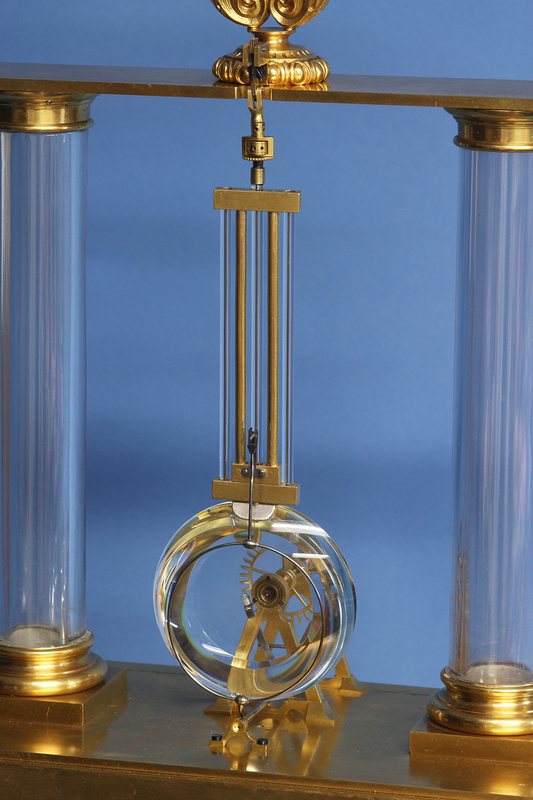 The inverted decorative grid-iron pendulum has glass rods and bob, a spring suspension, the fast/slow with micro adjustment and lock nut at the top and a steel wire crutch shaped to be as inconspicuous as possible below. 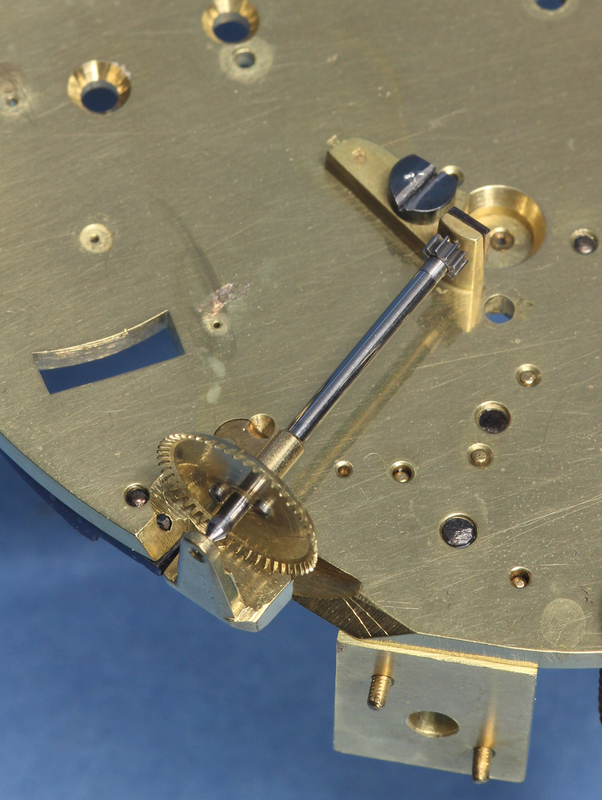 The dead-beat escapement has a finely cut five-spoke escapewheel that is screwed to the collet and horizontally secured by a set screw. 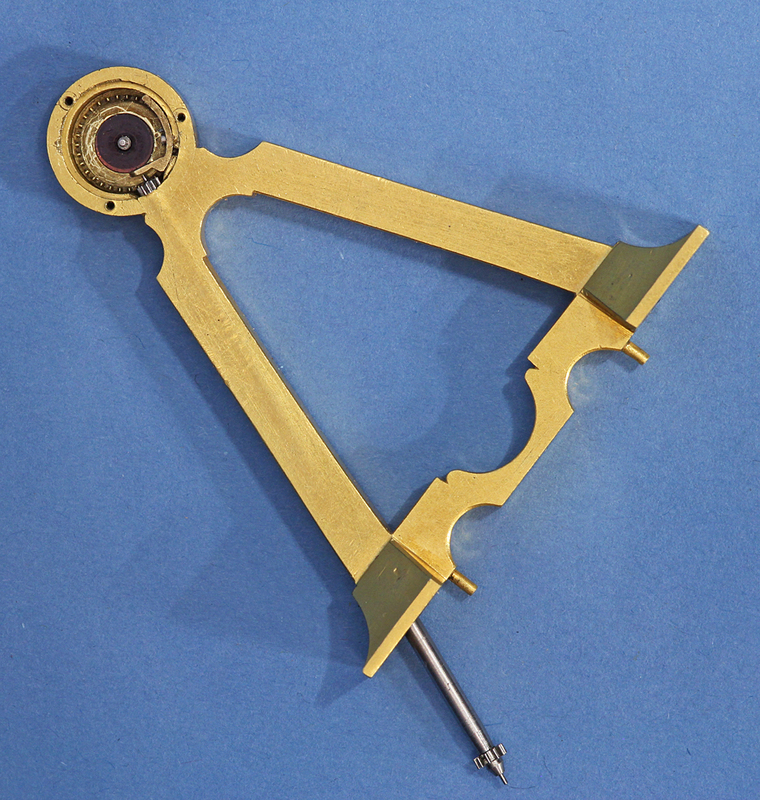 It also has steel pin pallets on steel caliper-style arms, a finely threaded depth adjustment, a slip in the pallet collet to adjust the beat and jeweled pivot holes in the two shaped stands. 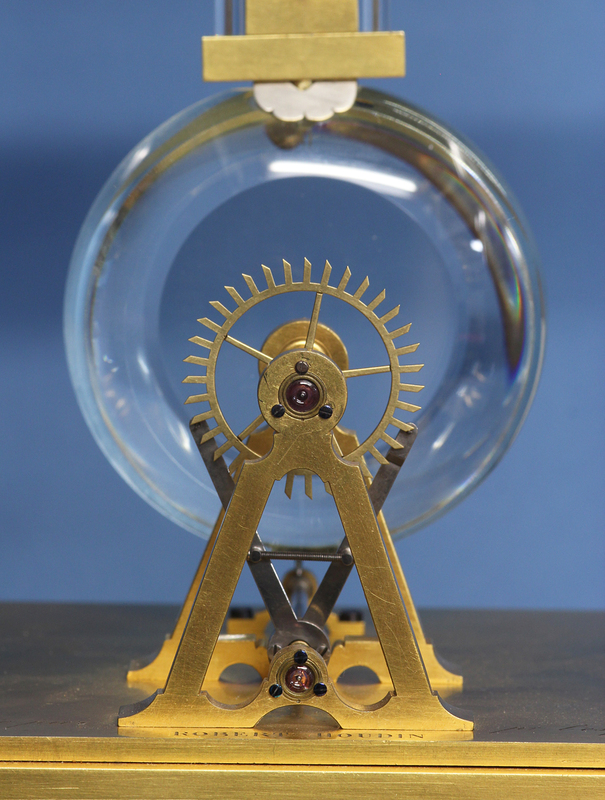 The glass pendulum bob has a small flake/chip on the bottom edge. 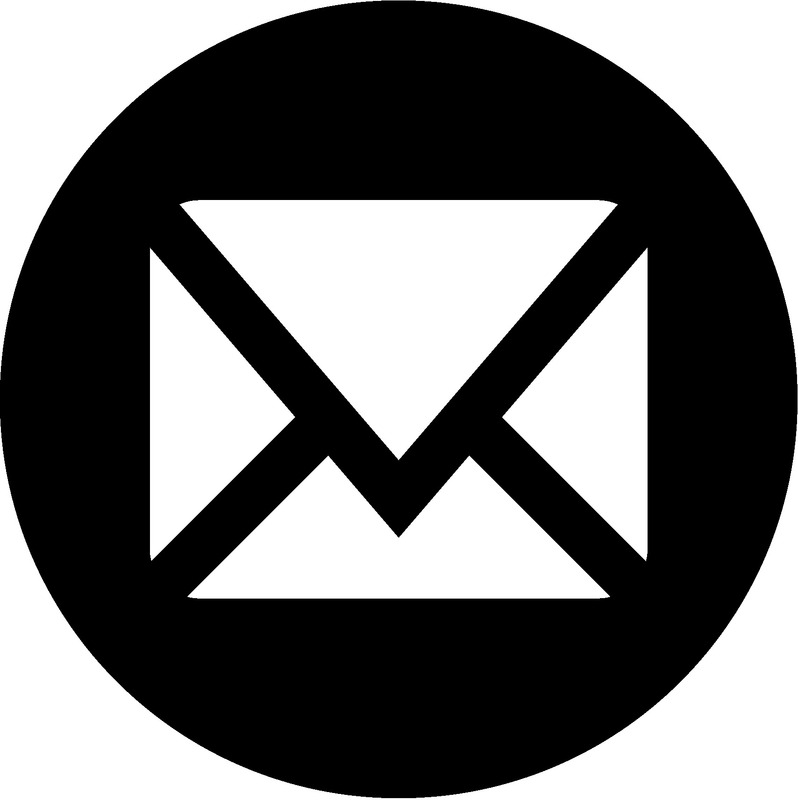 Power to Escapewheel – A basic understanding of clockwork is required to understand just how ingenious this feature is. 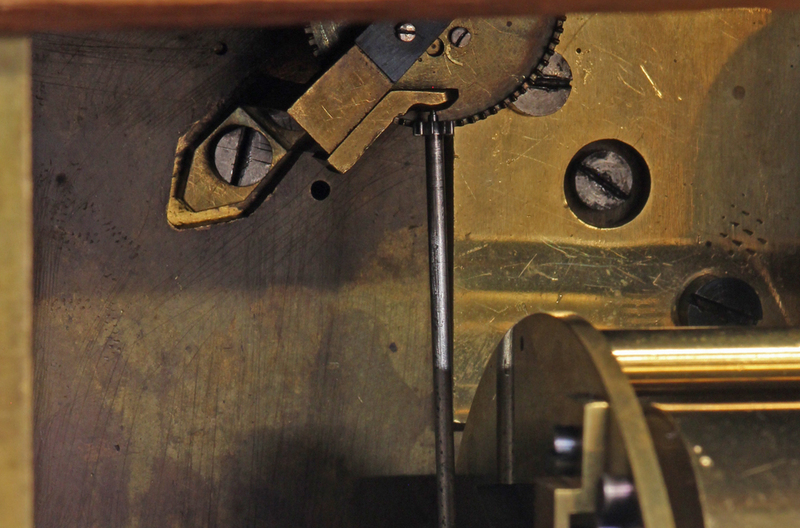 The escapement is what regulates the power as it’s transferred from the spring to the hands. The pallets, as controlled by the pendulum through the crutch, control the speed the escapewheel rotates and in turn how fast the hands turn. 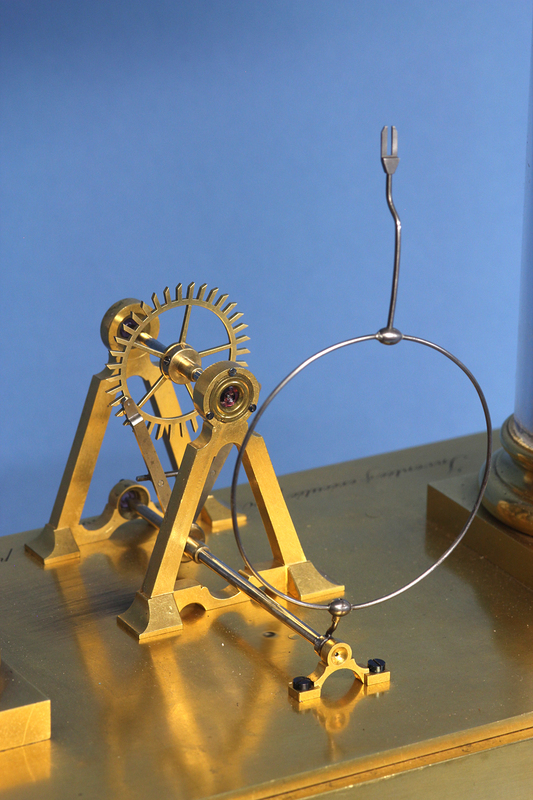 The power goes from the movement time spring to the escapewheel. Remove the pallets and the escapewheel would spin until the spring completely unwound and lost all power. How is the power transferred from the movement below to the escapewheel? 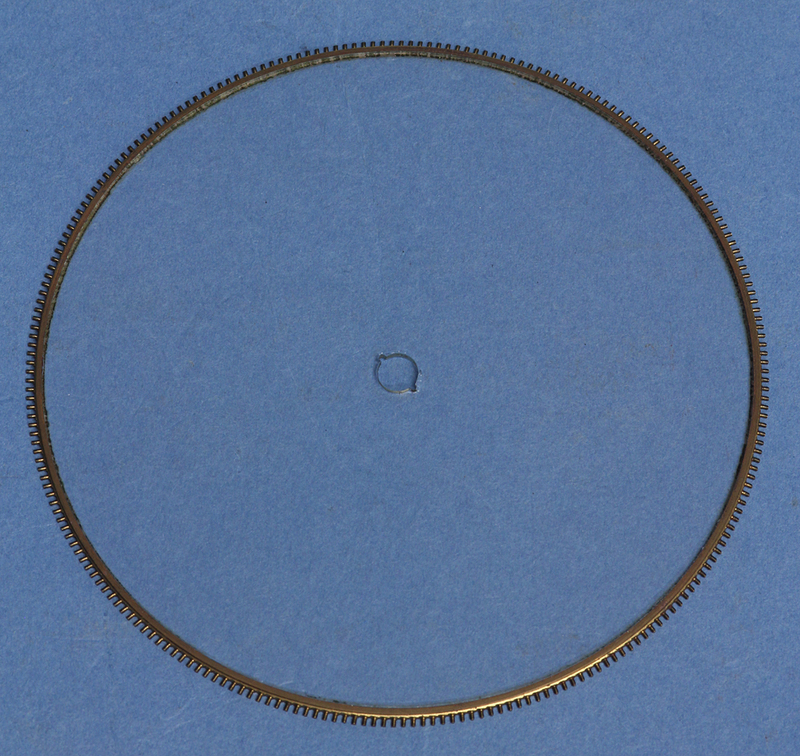 The secret lies in the rear jewel of the escapewheel arbor. It is not solid as expected and like the others, but is actually two jewels. 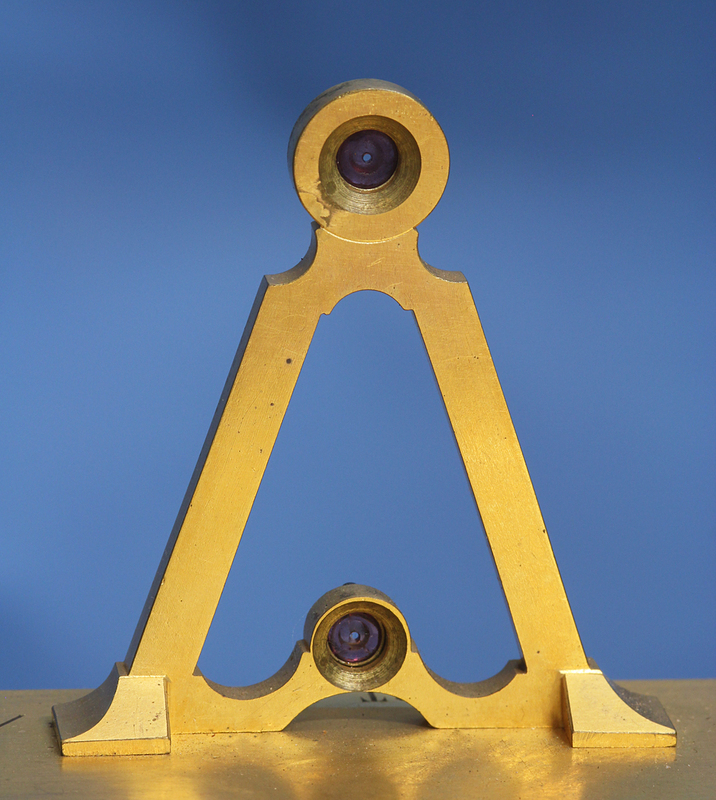 The front jewel is attached to a castle gear and is mounted on the escapewheel arbor. 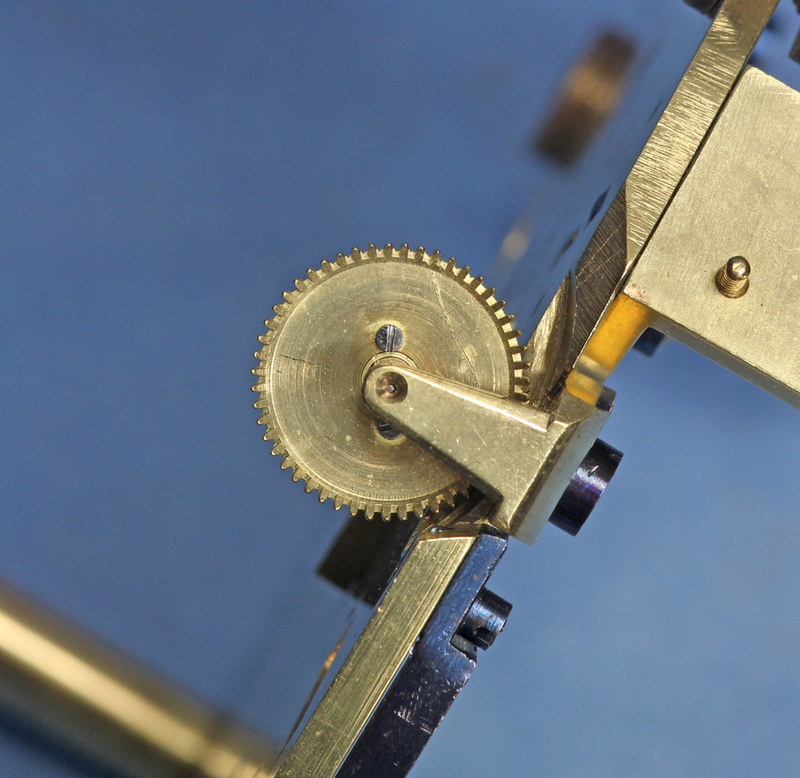 The power is transferred from the movement below by an arbor that goes up through the back stand. 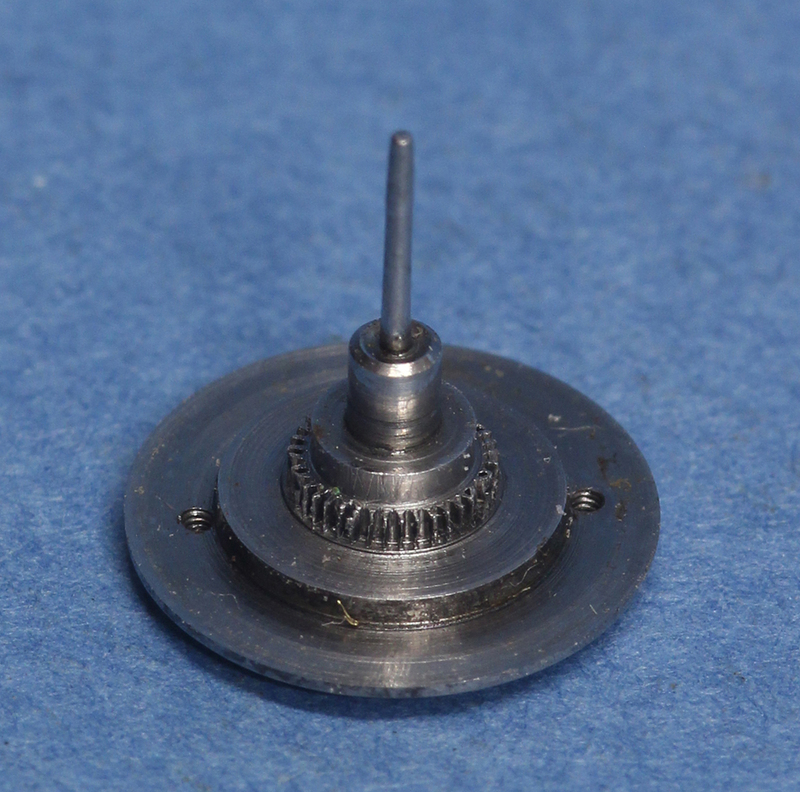 It engages that castle gear and in turn provides power to the escapewheel. 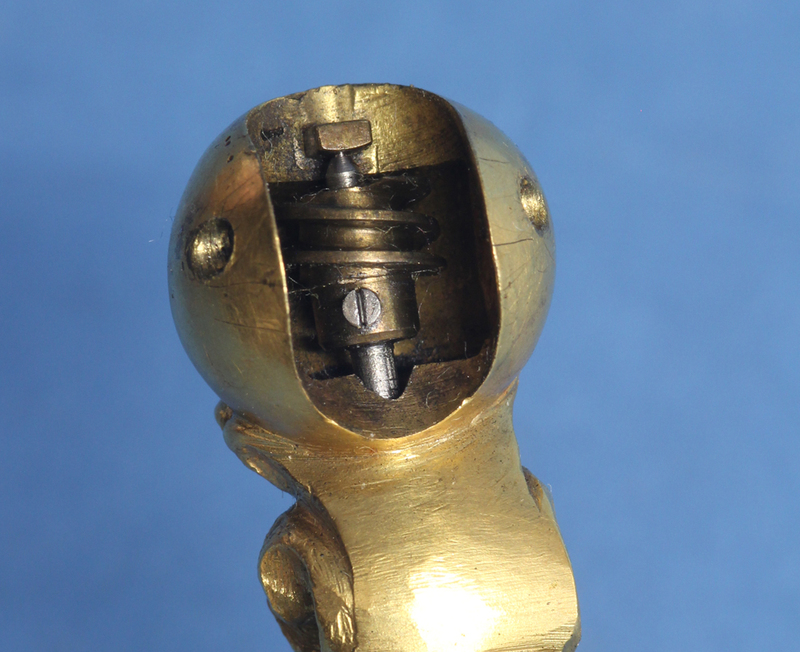 Although they present as a single stationary jewel only the rear jewel where the pivot spins is stationary. The front jewel is actually always spinning with the arbor. 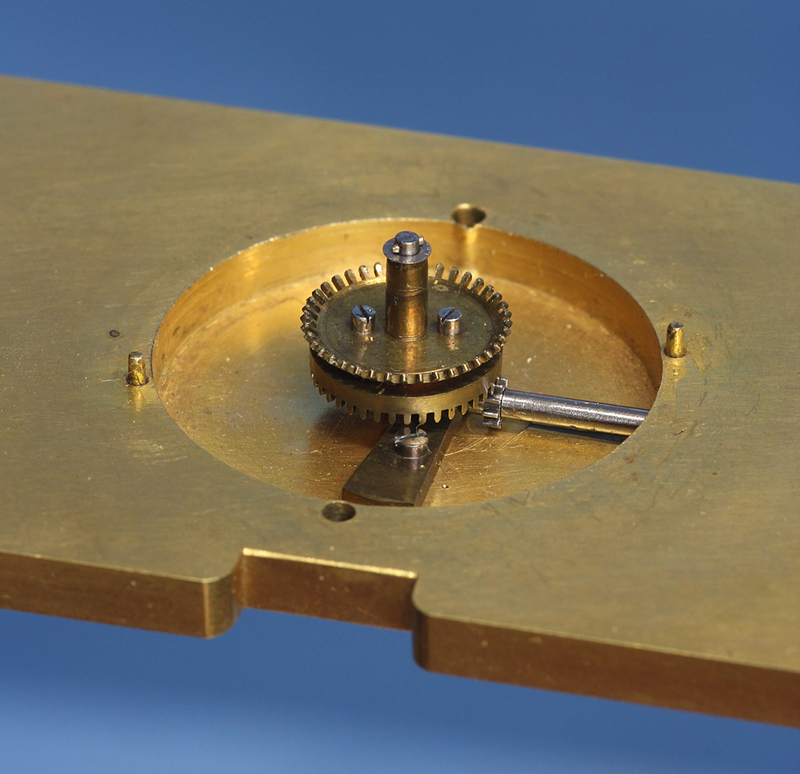 Glass Tube to Dial – The thin flat piece, only slightly thicker than 1/8 inch, that spans the two columns is drilled out on one side to accommodate an arbor that travels between the gear at the top of the column and the base of the dial. 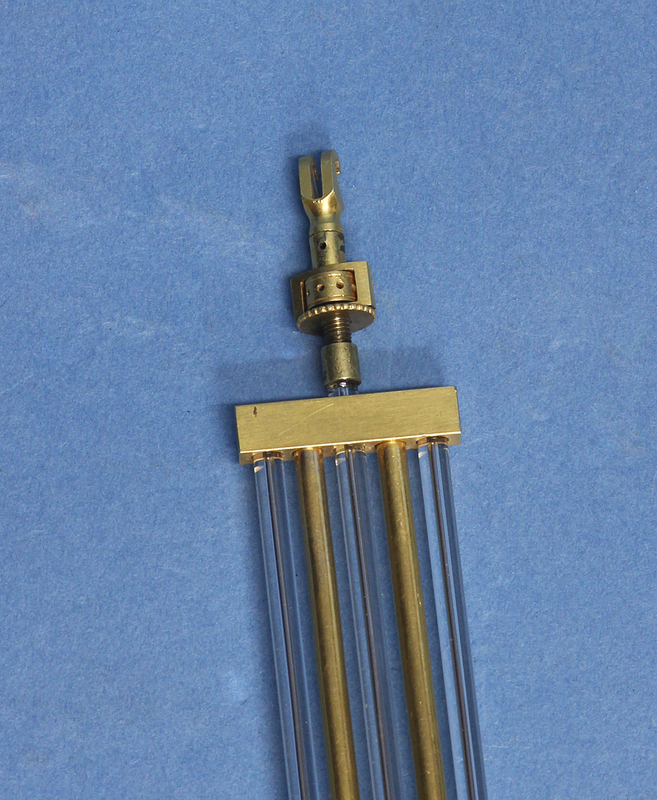 Glass Tubes – The power to the hands is transferred by the inner glass tube that spins while the outer one remains stationary. 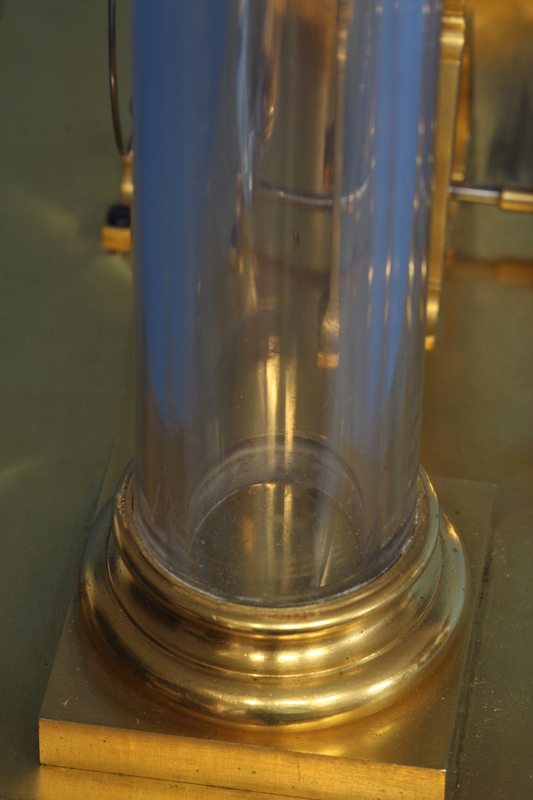 The additional glass column adds to the mystery and is suggestive of the later Cartier Portique series. 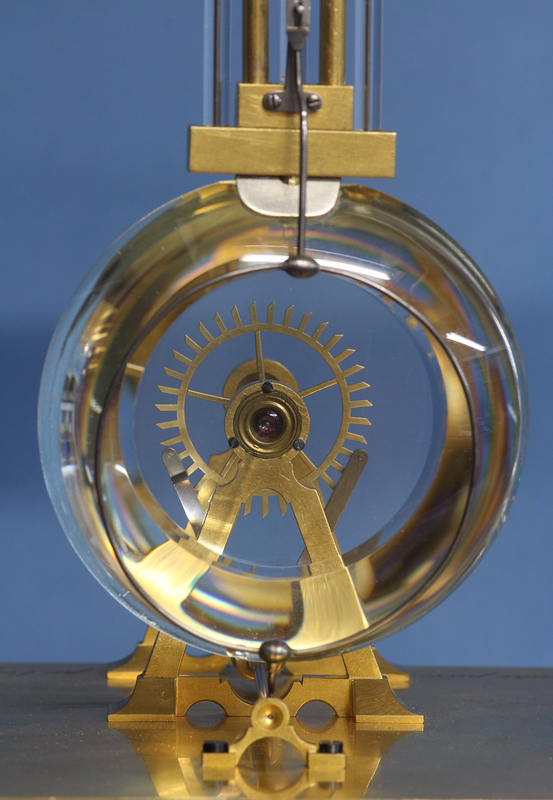 Two handed glass dial – The dial is composed of two glasses. The power travels up through the support and is transferred to the rear glass via a brass wheel into which the back glass is set. 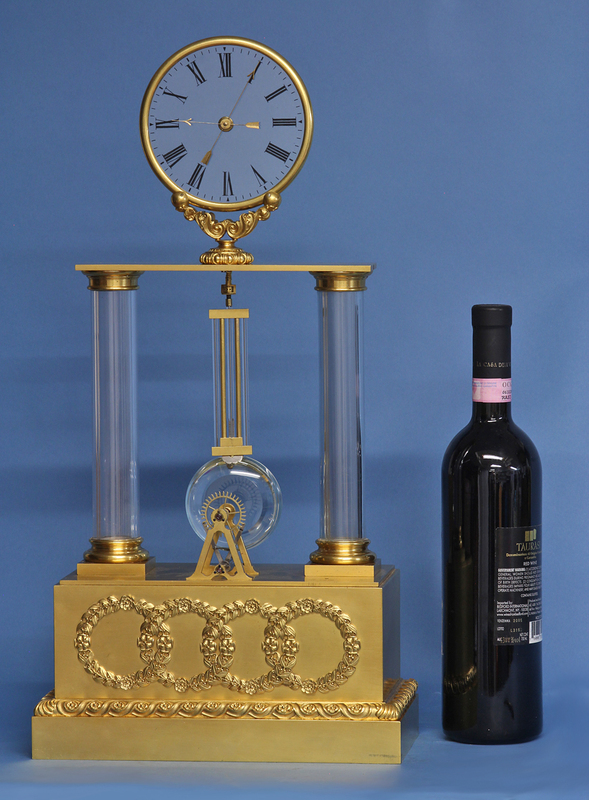 In the center of the two glasses is the motion work to which the hands are attached and the means by which the rotating rear glass transfers the power to the hour and minute hands. 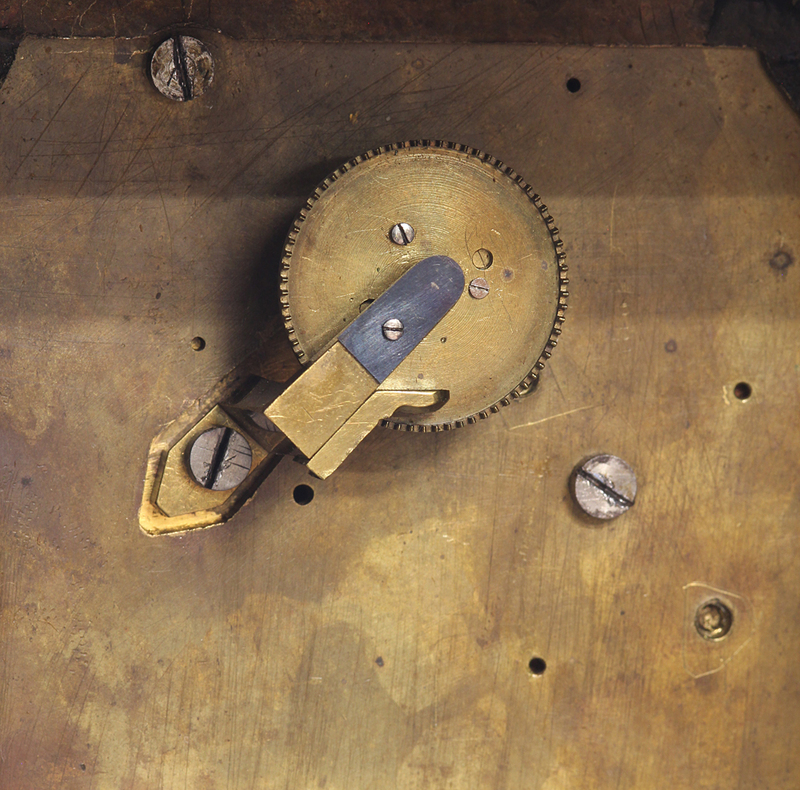 Robert-Houdin was a master at creating horological mysteries by cleverly concealing the transfer of power from the movement to the hands. 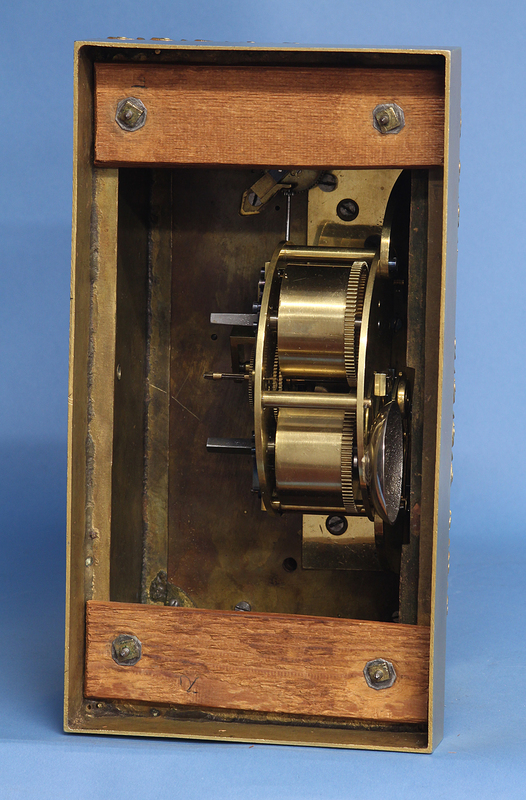 Derek Roberts in his book ‘Mystery, Novelty and Fantasy Clocks’ creates six categories that he refers to as ‘series’ for the Robert-Houdin type mystery clocks with each ‘series’ based on a new ingenious mystery. 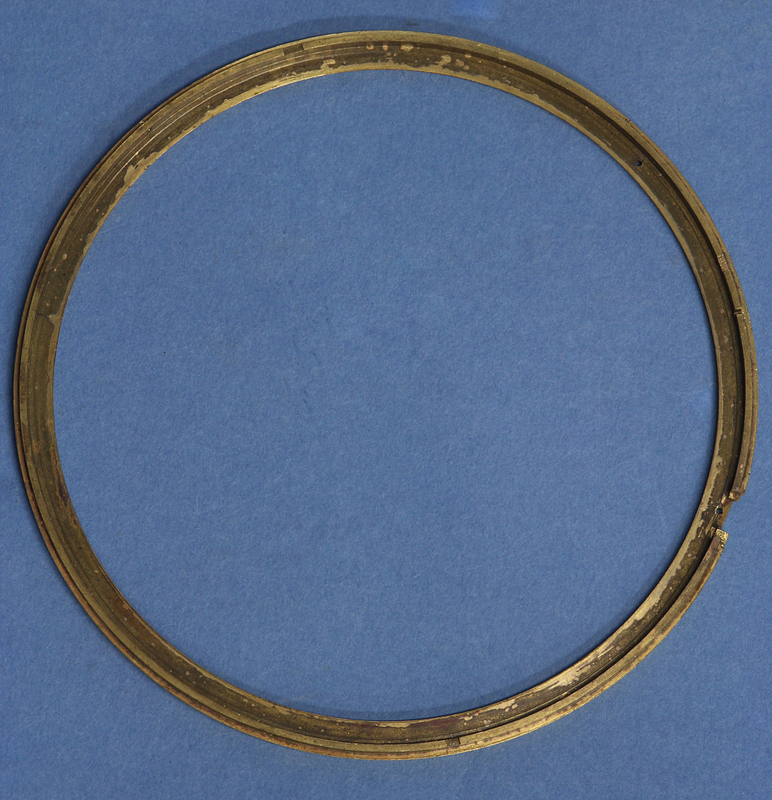 It is often assumed that they followed a straight forward chronological arch beginning in about 1837 with each new innovative design being conceived and produced simultaneously in subsequent years. 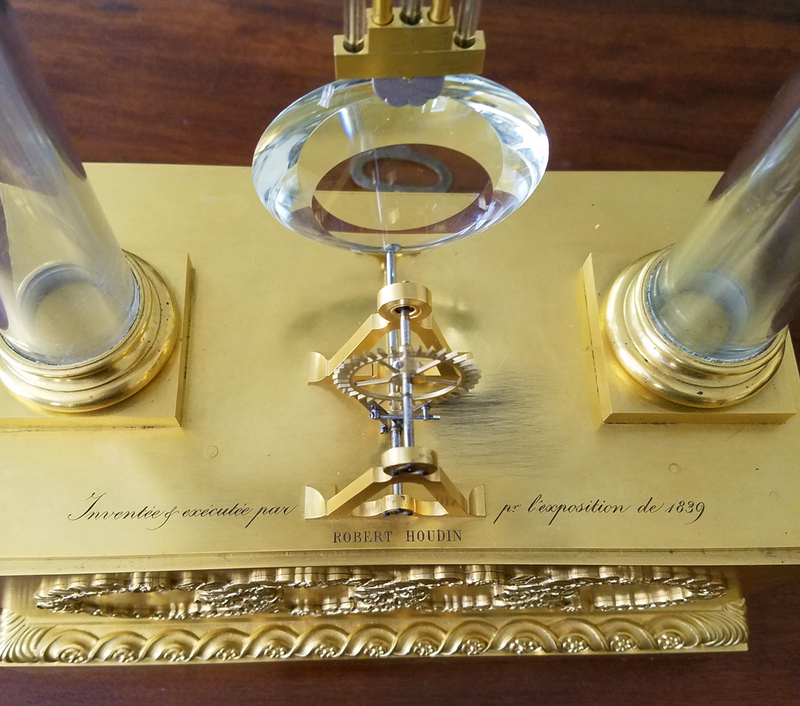 Robert-Houdin, as this clock proves, had already worked out almost all the mysteries by 1838/39 and simply produced new series based on different mysteries as the public lost interest in the previous ones. The Exposition des Produits de l’industrie Francaise en 1839, the ninth exhibition under Louis Philippe, ran from May 1– July 31, 1839 in the Grand Carré des Fétes ou des Jeux on the Champs Elysées. 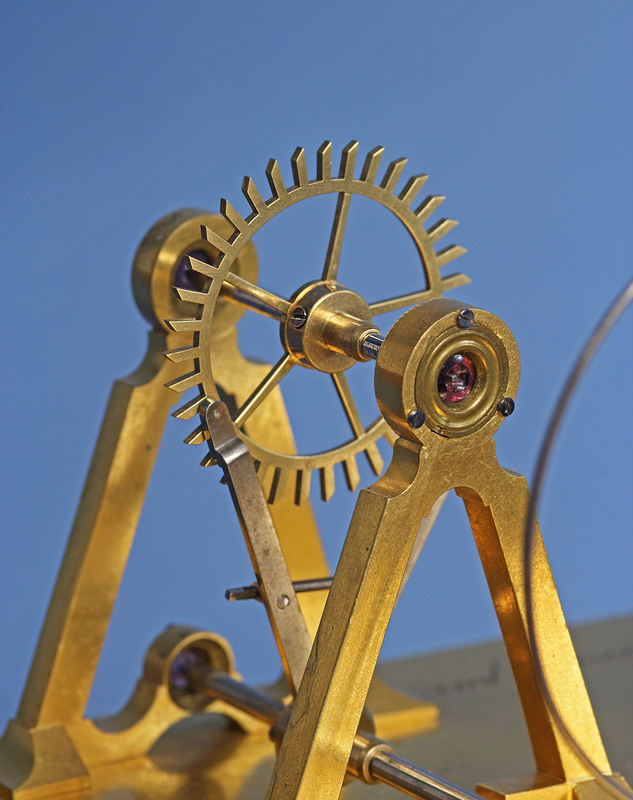 It included 3381 exhibitors and Robert-Houdin won a bronze medal for his mechanical ingenuity and business acumen. 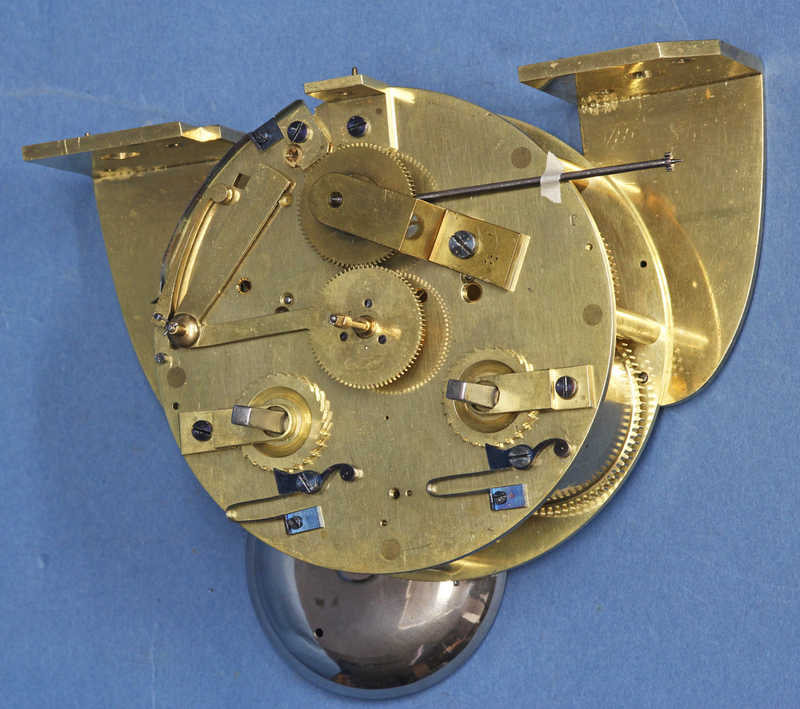 This piece is a tour de force in horological mysteries some of which were never used before or have been used since. 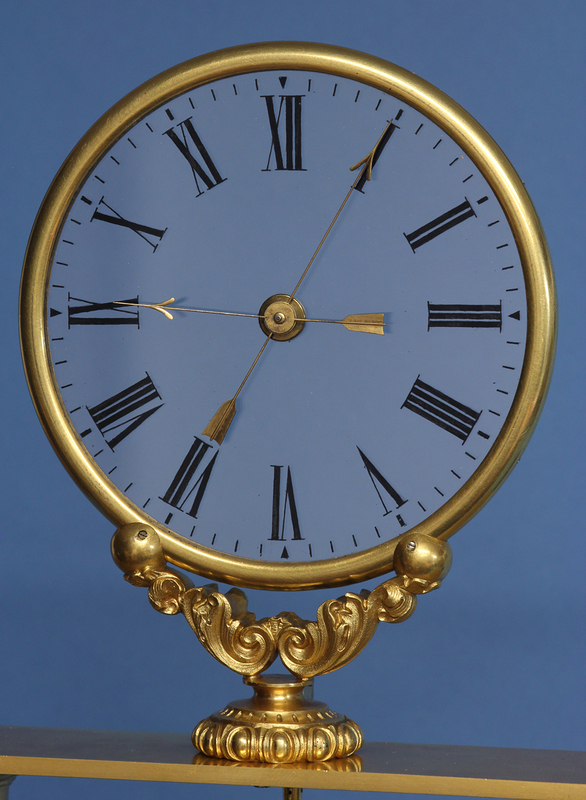 One can only assume fooling other horologists would be exponentially more satisfying to Robert-Houdin then creating another pretty clock. Exhibited at The Exposition des Produits de l’industrie Francaise en 1839 by Robert-Houdin. Millicent Rogers (1902-1953) – Model, Socialite, Artist. Granddaughter of Henry Huddleston Rogers who was one of the partners in Standard Oil. 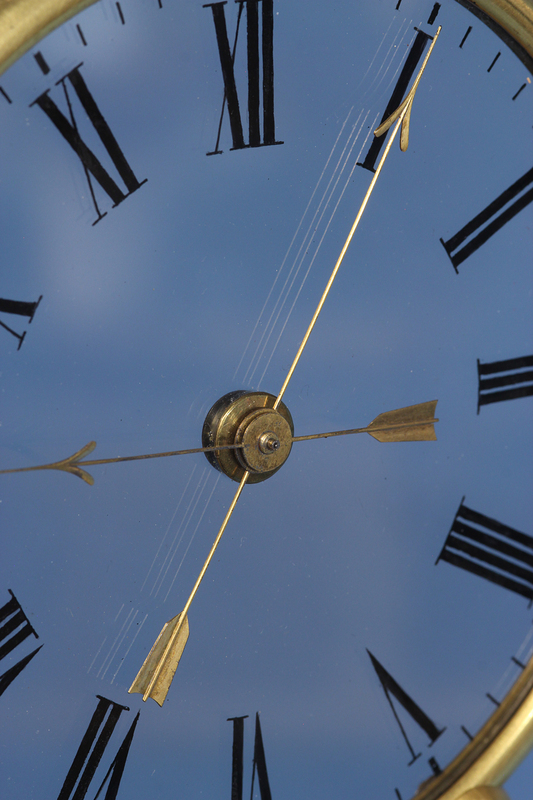 Believed to have bought the clock in the early 1930’s. Arturo Peralta-Ramos II (1928-2015) – International Sportsman and Businessman. 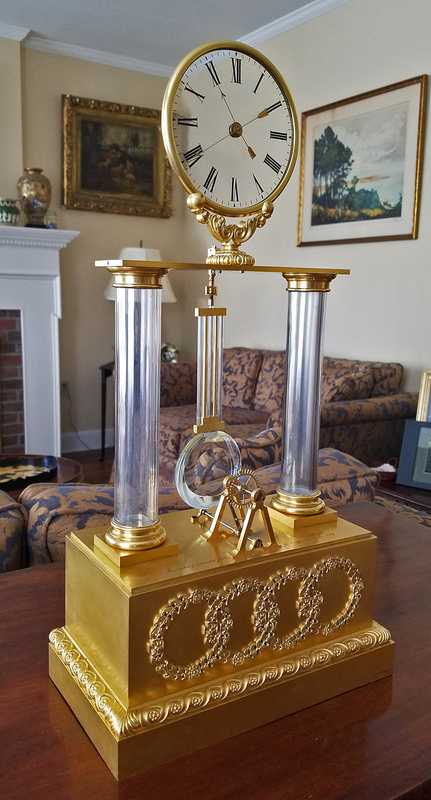 Inherited the clock from his mother Millicent Rogers. 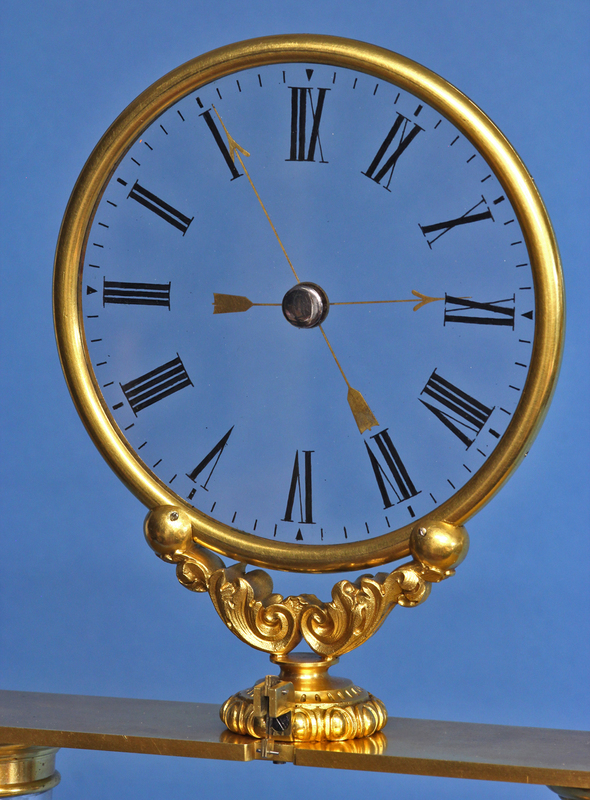 To see this magnificent clock running go to our youtube channel at sundialfarm. The excerpt about Robert-Houdin’s bronze medal is listed on pg.237 of ‘Rapport du Jury central. Paris: Chez L. Bouchard-Huzard, 1839’. 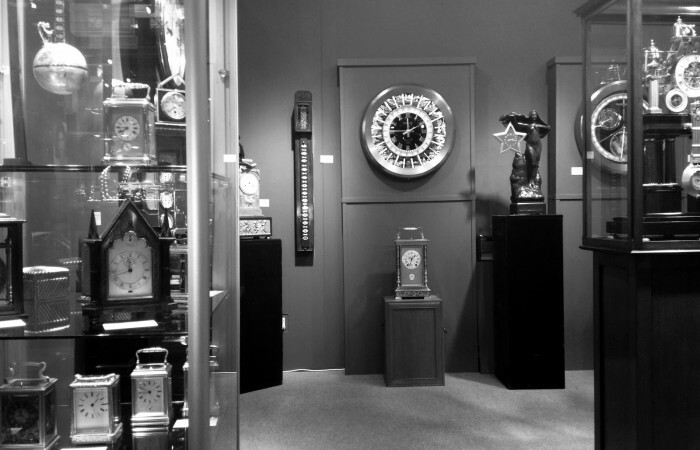 For a much more in depth history of Robert-Houdin see: ‘Mystery, Novelty & Fantasy Clocks’ by Derek Roberts, Chapter 19. ‘Le Moniteur Universel’, 10, Juin, 1839.